Lucio Battisti was born in Poggio Bustone, a small town in central Italy, on March 5, 1943. His family moved to Rome and he learned how to play guitar in his teens. In the early 1960s Battisti made his first appearances onstage as a member of I Campioni, the backing band of singer Tony Dallara and traveled abroad to countries like England and Germany where he absorbed the music of The Beatles, The Rolling Stones, Bob Dylan, and The Animals, and developed a passion for Soul and Rhythm & Blues which he would successfully introduce into Italian Pop music. The following year he relocated to Milan in search of a record contract. A&R woman Christine Leroux saw that Battisti had talent and thus introduced him to Giulio "Mogol" Rapetti, already an established wordsmith. Italian pop's most successful writing partnership was born. 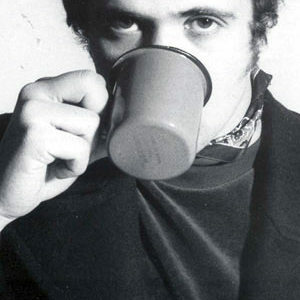 After writing several songs for Italian Beat groups which became chart hits, in 1966 Battisti debuted as a singer/songwriter with the single Per una lira, which failed to chart. But a year later Equipe 84 had a big hit with Battisti/Mogol's innovative "29 settembre", the first in a long line of achievements (which would also include an UK Number 1 courtesy of Amen Corner's If Paradise Is Half As Nice). By 1969, Battisti had become a star, first making a one-off appearance at the Sanremo Festival alongside Wilson Pickett, then winning the Festivalbar with Acqua Azzurra, Acqua Chiara, and finally issuing his classic self-titled debut album. 1970 was another crucial year for Battisti: he got married, recorded his second album Emozioni and, most notably, went on a week-long horse-riding journey from Milan to Rome with Mogol. In 1971, after making an experimental LP (Amore e non amore) with the as-yet-unknown Premiata Forneria Marconi, Battisti and Mogol set up their own label, Numero Uno, and started focusing more on albums than singles. Their partnership lasted until 1980, by which time Battisti had recorded eight finely-crafted albums, plus a collection of hits translated in English (Images) with which he vainly hoped to crack the US market, despite the involvement of Tom Waits' producer Bones Howe. Battisti became known in France, Germany and Spain, often re-recording his songs in foreign languages. After the bitter break-up with Mogol, Battisti decided that he would carry on making records, but would not talk to journalists or appear on TV any more, so he hid away in his mansion and started working on a series of impenetrable, electro-oriented LPs that puzzled critics and audience alike. For the first one, the lyrics were provided by Lucio's wife, while the final five albums were the product of his partnership with hermetic poet Pasquale Panella. Their most recent effort, Hegel, appeared in 1994. Battisti died after long illness on September 9, 1998.